Researchers at Bristol University are leading a major Europe project that will test the latest quantum technology in the city. The UNIQORN project – Affordable Quantum Communication for Everyone: Revolutionising the Quantum Ecosystem from Fabrication to Application – is part of the Horizon-2020 project and was selected for funding by the European Commission in the first call of a flagship Quantum programme. The goal of the project is to link the leading edge research into quantum photonics being done by universities such as Bristol with the exploitation of early prototype components and system-on-chip implementations in a growing market with vast potential. The city also hosts the world’s first Quantum Technologies Innovation Centre to stimulate the development of commercial quantum systems and quantum technology startups such as Qontrol Systems. Hugues-Salas is working with Hannes Hübel, scientist and quantum expert at AIT Austrian Institute of Technology to lead the project, which aims to integrate quantum photonics systems into silicon chips. These systems will not only reduce size and cost but will also bring improvements in terms of robustness and reproducibility. Researchers in Bristol have already produced programmable quantum chips with 2 qbits, and the project would take this further and help develop commercial systems around the chips. “Within the UNIQORN project, we have the opportunity to apply our expertise and develop solutions for the future Quantum Communications Networks. We are looking forward to working with quantum experts across Europe to take quantum technologies out from the labs and into real-world communications systems and networks,” said Professor Dimitra Simeonidou, Head of High Performance Networks (HPN) group at the University of Bristol. 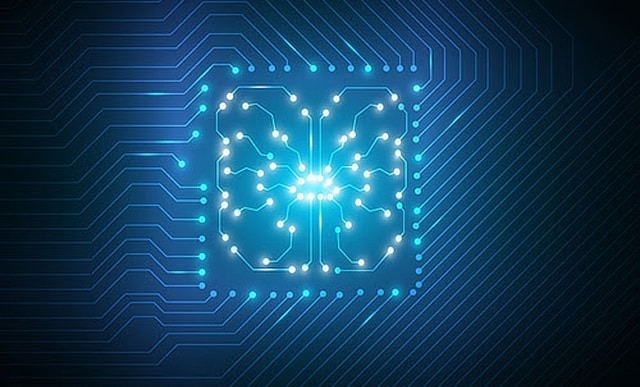 The 3-year project will develop the key components for quantum communication systems such as true random number generation and secure-key distribution. This includes specialised optical sources and detector technology built on standard CMOS silicon, where Bristol has key expertise as one of Europe’s leading technology clusters. System-on-chip integration will be an essential part of the research work and will lead to miniaturised quantum-optic systems that can implement quantum mechanical features such as entanglement and light squeezing. UNIQORN aims to make the ambitious leap from quantum “fabrication” to quantum “application” as it evaluates its cutting-edge technology in novel protocols, with real-world testing in smart-city environments in tandem with a wide range of telecommunication applications. The consortium has 17 partners from 9 European countries, including Fraunhofer HHI in Germany and imec in Belgium as well as the University of Vienna, Paderborn University, University of Innsbruck and the Technical University of Denmark. Photonic and electronic design, integration and packaging activities will be supported by Eindhoven University of Technology, Micro-Photon-Devices, Politecnico Milano, SMART Photonics, VPI Photonics and Cordon Electronics while system maker Mellanox and operator Cosmote will provide user feedback in field tests in a live smart-city test-bed run by the University of Bristol.